BENENDEN CHAPEL CHOIR IN CONCERT Friday 27 March at noon offering World Premier! If music be the food of love, sing on! Benenden is one of the UK’s foremost Girls’ Boarding Schools with a distinguished history, many notable alumni and a proud musical tradition. Set in glorious Kent countryside the school has an outstanding and far-reaching reputation for excellence. 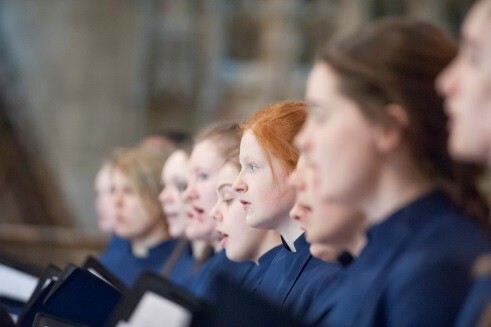 The Chapel Choir – 24 girls between the ages of 14 and 18 – has a repertoire that crosses many musical eras and boundaries from pre-Renaissance to the present day. In addition to singing for School services and giving concerts to raise money for charities, the choir regularly tours in the UK and abroad. 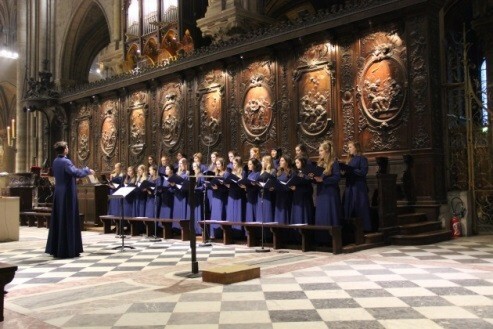 In September 2014, the choir sang Evensong at St George’s Chapel Windsor Castle in the presence of HRH Princess Anne (a former pupil at Benenden). 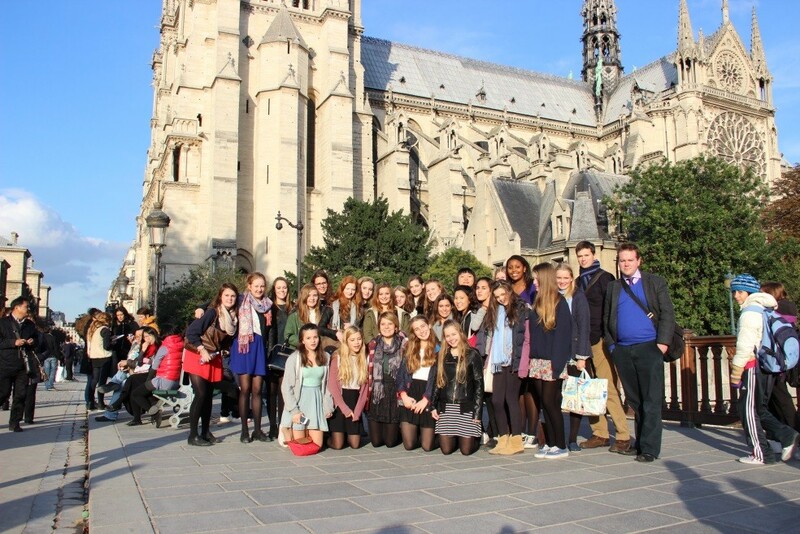 Other recent ventures have included performances in Canterbury and Southwark Cathedrals, St John’s Smith Square and St Martin-in-the-Fields, London, and Notre-Dame, La Trinité and La Madeleine in Paris. As well as performing well-known works for upper voices by composers such as Pergolesi, Mendelssohn, Fauré and Britten, the choir is active in commissioning new works, mostly recently from Malcolm Archer and David Bednall. 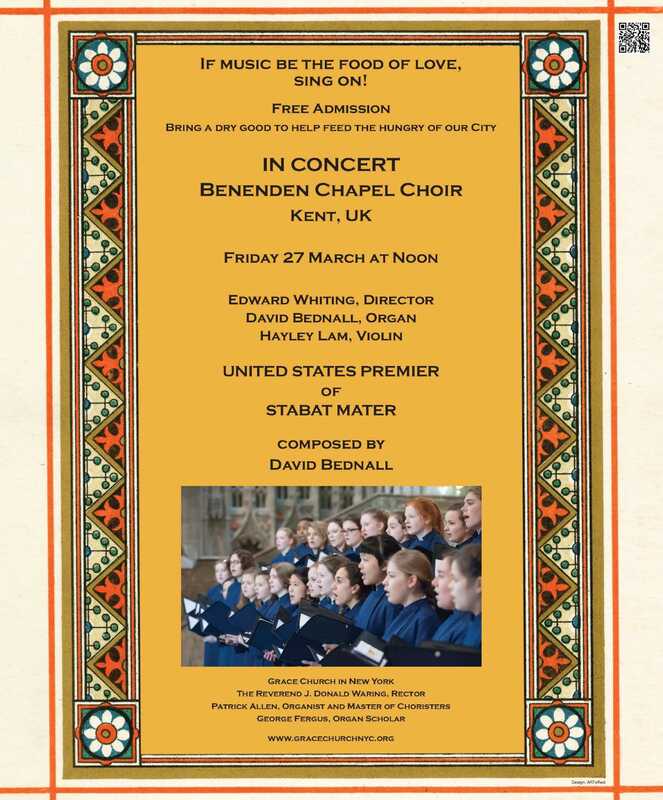 Bednall’s Stabat Mater for Girls’ Voices, Violin and Organ will receive its World Première during the choir’s tour to New York, Connecticut and Philadelphia in March 2015, closely followed by the London Première and a recording on Regent Records. This is the second major collaboration between composer and conductor – the 2009 Requiem (written for the Chamber Choir of St Mary’s Calne) was featured several times on BBC Radio 3, earned acclaim in BBC and Gramophone magazines and was nominated for ‘Record of the Year 2010’ alongside CDs by the London Philharmonic and BBC Symphony Orchestras.